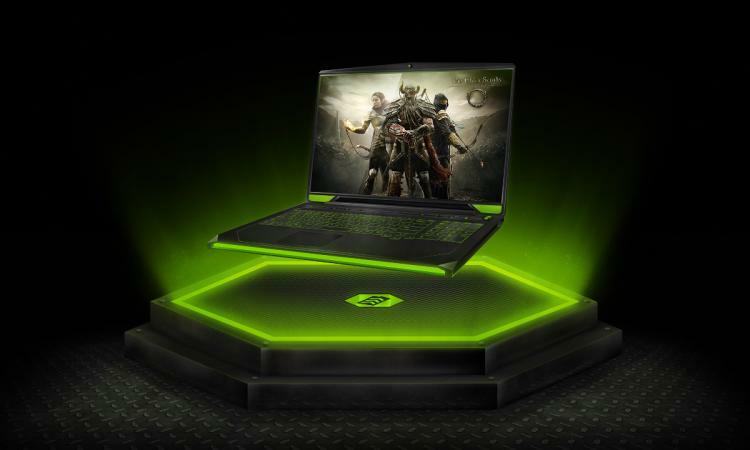 Alongside the main GTX 10-series for notebooks announcement - where the Pascal-equipped laptops have up to 30% better battery life than their Maxwell counterpart - NVIDIA have also revealed details of planned updates to BatteryBoost, their power management toolkit for improving battery life whilst still allowing gaming functionality. Sadly for years the very idea of gaming on your laptop whilst 'unplugged' was a pipe-dream made unrealistic by inefficient GPUs, poor power management and a gap in power delivery technology. The 900-series, featuring their Maxwell GPU, was the most compelling 'unplugged' experience thus far, and that was possible largely due to an efficient architecture and NVIDIA BatteryBoost. When enabled BatteryBoost allows the GPU to draw just enough power for 30fps gameplay, intelligently working hand-in-glove with NVIDIA Optimus tech to switch the system into a power saving mode that doesn't cripple the GPU. It wasn't perfect however. Average frame rates were hit the 30fps target, well into 'playable' territory, but frame rate variance (especially <30-fps drops) was cited as a source of dissatisfaction often enough that NVIDIA felt they needed to take steps to address it. Compared with legacy implementations the newest form of BatteryBoost provides a far tighter lock to 30fps, drawing on improved game optimisation data from NVIDIA's hardware/software testing farms and a revised methodology. Hopefully this doesn't come at the cost of substantially reduced image quality, but even if that were the case frame fluidity pretty much trumps all other concerns. Alongside the change to the frame rate algorithm BatteryBoost will now expose a greater level of flexible control to the user to determine their own best battery power settings. Of course users content with the default experience need not delve too deeply, but advanced users can start to tinker behind the scenes. When quizzed about the chance of good quality VR gaming under BatteryBoost NVIDIA were understandably non-committal, classifying it as a use case that they don't strictly support in that mode. Saving some pretty major advancements even beyond Pascal it looks like we're still a little way away from the hold grail of mobile gaming. 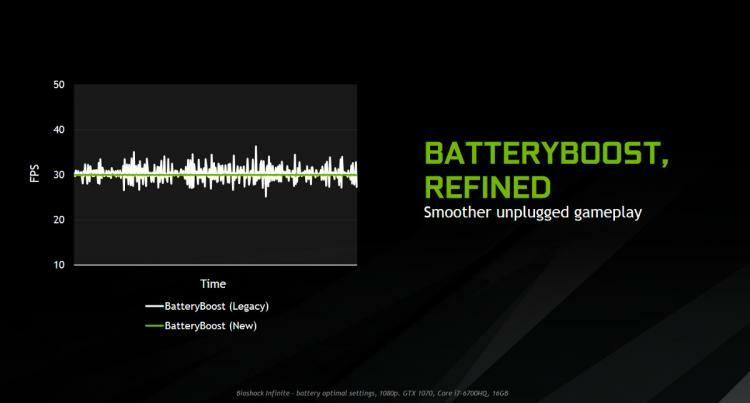 The changes to BatteryBoost are being rolled out to the new Pascal-based laptops, and will also be made available to laptops with GTX 800 and 900-series Maxwell GPUs. Keep an eye our for driver updates in the near future.